The Kia Forte has been a hit with drivers from Los Angeles to Orange County, thanks to its spacious interior, nimble performance, and incredible price. But it’s the wealth of Kia Forte technology features that impress the most, with standard and available tech ranging from cutting-edge safety to fantastic functionality. Here’s just a sample of what you can look forward to. These features work with your smartphone to give you access to all your favorite apps through the vehicle’s console display. Say goodbye to the days of aimlessly wandering around the parking lot; this app keeps a record of your vehicle’s location and can help you find it with your smartphone. Backing up is easier—and safer—than ever with this tech, which gives you a live view of the area behind your vehicle. This available system uses built-in radars to scan your blind spot and alert you to any vehicles or obstructions that may be there. 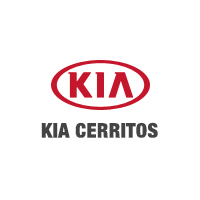 Whether you’re looking to apply for financing or want to see it in action first, you can experience the critically acclaimed Kia Forte technology in person by scheduling a test drive at Kia of Cerritos in Cerritos, CA! While you’re here, compare the Kia Forte and the Toyota Corolla, as well as the comparison between the Kia Forte and the Ford Focus and our guide to Kia accessories.